Tandemic – runs everything from 2-day design thinking workshops to more sustainable transformation programmes within larger organisations. We do consulting projects where we design products, services, and interventions to solve business and social challenges in new ways. Genovasi – runs 12-week classes that run two days a week teaching mainly university graduates design thinking. The programme was developed in partnership with the Hasso-Plattner Institute in Germany and is designed to create innovation ambassadors who apply design thinking in government. 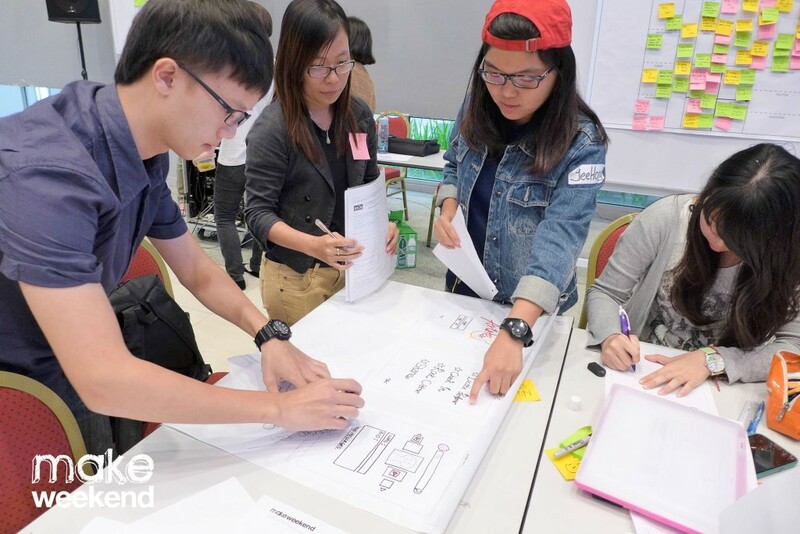 Makeweekend – a series of workshops where people come together to learn and apply design thinking by ideating and rapidly prototyping solutions to problems ranging from disaster recovery to oral hygiene and promoting the local music industry. This is probably the largest programme involving design thinking in Malaysia. DesignLab – a two-day workshop on design thinking hosted by Make-Condition. This workshop is designed mainly as an introduction to design thinking. Betterciti.es – a citizen initiative that uses urban experiments and interventions to improve cities, such as Kuala Lumpur and Penang. Projects range from a carpooling concept to a bicycle map of Kuala Lumpur. So+Co – a branding and corporate social responsibility consultancy that applies design thinking to delivering social projects. The Design Thinking Toolkit – a toolkit that’s designed to allow you to practice design thinking out-of-the box. Inspired by IDEO’s method cards, the toolkit takes the concept further into process cards and different recipes you can apply for your design thinking project. Want to know more on design thinking in Malaysia? If you’re interested in staying on top of what’s happening, consider subscribing to the Design Thinking Briefs, a monthly newsletter with the top five articles on design thinking, including Malaysian content.